Double CCIE Kevin Wallace’s CCNA R&S Practice Exam Questions. SKU: LAB-NA-RP-v3-1. Category: CCNA R&S Lab Kits. Tag: 200-120 Exam. Our ultimate CCENT and CCNA Routing & Switching Lab kit with three 2nd generation routers is perfect for these and other Cisco certifications. This Lab Kit will easily grow with you to CCNP and beyond. With three routers, three switches, six serial cards, and lots of cables, this Lab Kit provides you with “real-world and hands-on” experience that simulators and emulators just cannot match. 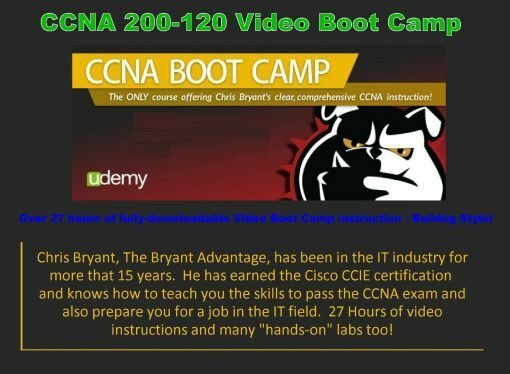 This Lab Kit includes what you need to learn and pass the CCNA R&S (100-105 & 200-105 or the 200-125) exam. Our CCNA Routing & Switching Ultimate Lab Kit has three Cisco 1941 2nd Generation routers running IOS version 15.7 and has 512MB DRAM, 256MB Flash RAM, 2 EHWIC slots, two Gigabit Ethernet ports, USB, console and AUX ports. The 1941 router is a great data router and can be upgraded with enhanced features for DATA and SECURITY with the purchase of these optional licenses. This router does not support voice services such as Call Manager Express; for voice services you will need a 2900 or 3900 series of routers. A Cisco 3750v2 IOS 15.0 Layer 3 Fast Ethernet stackable switches with Open Shortest path First (OSPF) routing support, advanced quality of service (QoS), rate limiting, access control lists (ACLs), and basic static and Routing Information Protocol (RIP) and OSPF routing functions, advanced hardware-based IP unicast and IP multicast routing as well as policy-based routing (PBR), IPv6 routing and IPv6 ACL support. Learn about switch stacking with the purchase of an optional second 3750v2 switch and a stacking cable. You also get one Cisco 2960-24TT-L switch running IOS 15.0 with LanBase has robust features such as VTPv3 and FlexLinks as well as one Cisco 2960TC-L switch with 24 ports with LanBase 15.0 IOS image delivering intelligent services such as advanced QoS, rate limiting, security filters, and multicast management to the network edge and basic routing functions. Lots of accessories are also included. 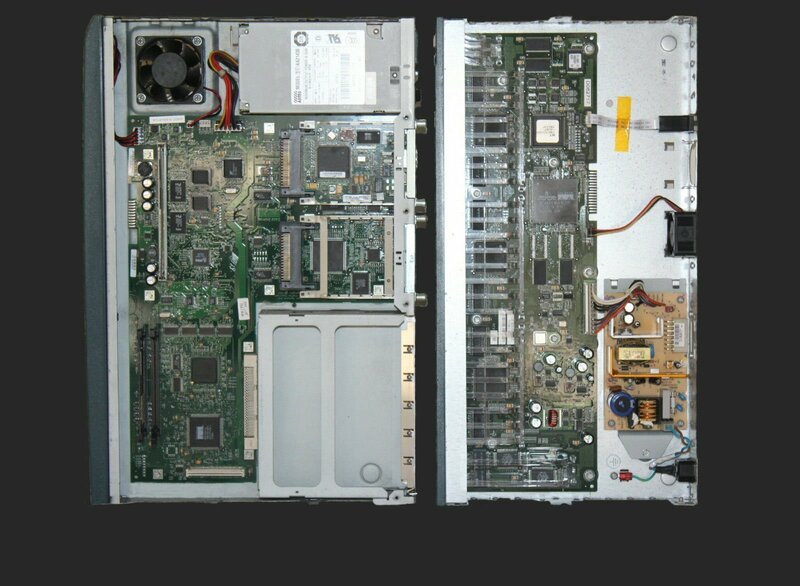 Two HWIC-1DSU-T1 serial cards, three HWIC-1T serial cards and one HWIC-4T serial card. With more than double the Ethernet cables over the Basic and Standard Lab Kits and other additional cables, you can create many different configurations to learn from. The CCNA R&S Ultimate Lab Kit includes all the hardware listed below plus the full CCNA Routing & Switching (200-120) online video course presented by CCIE Chris Bryant PLUS Chris’ CCNA Security (210-260) online video course at no charge to you. These courses have lots of “real-world and hands-on” labs for you to learn from. Your copy is fully licensed by The Bryant Advantage and comes with their email support in addition to the free support we provide. *Please note that some additional equipment may need to be purchased to complete every lab as presented by the course instructor. 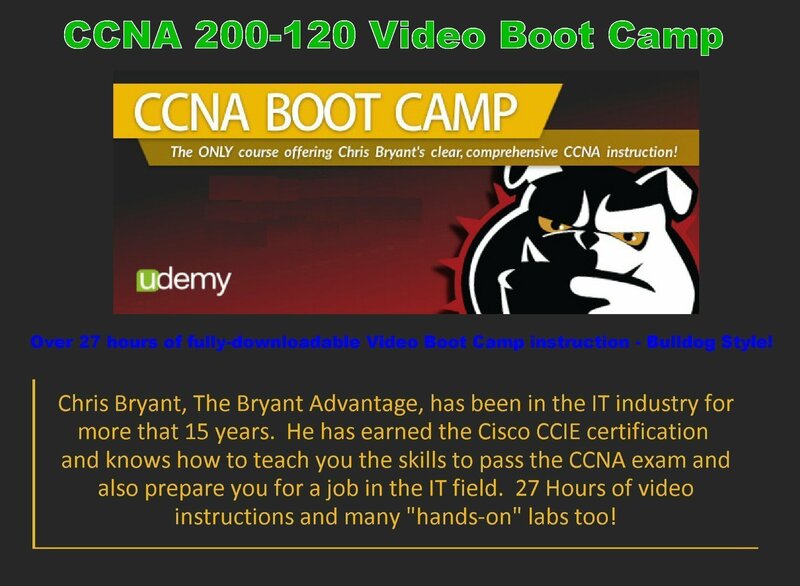 CCIE Chris Bryant is in the process of updating the course for the new 200-125 exams and you will be updated once he releases the new course at no additional charge! *Shown with optional cable management option and optional power bar. 3750v2 PS-S PoE Switch; 100-240VAC auto-switching 3.5A average. 2960 TT-L Switch; 100-240VAC auto-switching 2.5A average. 2960 TC-L Switch; 100-240VAC auto-switching 2.5A average.